eGenix.com has always been active in the Python community and over the years we have given many talks on various interesting subjects. We make some of these talks available to the general public. Either as set of PDF slides and/or as talk videos. If you would like to see these talks or custom talks on Python-related subjects presented on-site or in the context of another event, please see our Python coaching services or contact us for details and bookings. Since April 2012, eGenix and Clark Consulting & Research have been organizing a quarterly local user group meeting called Python Meeting Düsseldorf, or short PyDDF, in Düsseldorf, Germany. We've regularly recorded the talks given at the meetings and also contributed a lot of them. For a full list of available talks, check the Python Meeting Düsseldorf Video Listing. Please note that most of the recorded talks are in German. This talk, held at the EuroPython 2016 conference in Bilbao, Basque Country, Spain, presenting experience gained from valuation of a Python company and its code base, including a description of the metrics and methods applied in the course of this. The talk was given by Marc-André Lemburg - CEO of eGenix.com. (c) Copyright 2016 eGenix.com. All Rights Reserved. This talk, held at the EuroPython 2015 conference in Bilbao, Basque Country, Spain, gives a short introduction to common Python idioms, which are especially useful for programmers new to Python. (c) Copyright 2015 eGenix.com. All Rights Reserved. This talk, held at the first PyWaw Summit 2015 in Warsaw, Poland, takes you on personal tour through the development of the Python community, starting 20 years ago, until today and beyond. This talk, also held at the first PyWaw Summit 2015 in Warsaw, Poland, introduces you to a guided and structured approach to Python application design, suitable to build large applications in Python. This talk, held at EuroPython 2014 in Berlin,Germany, discusses advanced Python database programming topics which are relevant when designing complex database systems in Python. This talk, held at PyCon UK 2014 in Coventry, UK, shows how you can make your Python code run faster without much effort, by simply following a few simple idioms. This talk, held at PyCon UK 2014 in Coventry, UK, introduces a new Python web installer system, which makes installation of binary Python packages easy and secure across platforms. This talk, held at EuroPython 2013 in Florence, Italy, gives a case study in efficient Python development. This talk, held at EuroPython 2013 in Florence, Italy, explains concepts for designing large and scalable Python applications that have proven to work in practice. This talk, held at EuroPython 2012 in Florence, Italy, introduces the new eGenix Open Source project eGenix PyRun to the international Python community. In this a talk, held at EuroPython 2011 in Florence, Italy, we give an introduction to the Python DB-API 2.0 that forms the basis of our mxODBC products. eGenix has recently completed the first phase of a custom project for a client which will greately simplify the process of managing VAT taxation in the Sub-Sahara African country Ghana. After nation-wide roll-out, the project will enable the Ghana VAT Service to manage and control the country's VAT taxation in real-time. This short lightning talk outlines some of the aspects of the project. The talk was given at EuroPython 2009 in Birmingham, UK, by Marc-André Lemburg - CEO of eGenix.com. (c) Copyright 2009 eGenix.com. All Rights Reserved. The Python Database API (DB-API) is a specification of a module interface that allows interfacing from Python to a relational database. The talk gives a high-level introduction to the concepts used in the Python DB-API and relational databases in general. Connection, cursors and transactions are discussed, and their use in Python database applications is explained. The talk was given at EuroPython 2008 in Vilnius, Lithuania, by Marc-André Lemburg - author of mxODBC and editor of the Python Database API. (c) Copyright 2008 eGenix.com. All Rights Reserved. Python is widely and somewhat inaccurately referred to as a scripting language. While Python is an ideal platform for small scripting tasks, it does in fact cover all the concepts needed for large scale object oriented application development. However, complex applications bring different challenges. This talk draws on eGenix' many years experience with large scale application development using Python as central implementation language and provides a cookbook approach to many of the the problems you face when designing and organizing complex application frameworks. The talk was given at EuroPython 2008 in Vilnius, Lithuania, by Marc-André Lemburg - Python expert and leading architect at eGenix. The talk presents ways of designing Python applications to be Unicode-aware from ground up, preparing them for internationalization (i18n) and localization (l10n). We also present the idea of an online translation manager that collects string to be translated and provides ways to have them translated to various languages. This technique has been put to good use in a large financial trading system platform. The slides are available as PDF. The talk was given at PyCon UK 2007 in Birmingham, UK, and EuroPython 2006 in Geneva. The speaker, Marc-André Lemburg, was the lead architect of the Python Unicode integration that resulted in the Unicode support included in Python 2.0 and later. Also see the talk "Python and Unicode" below for a more general introduction to Unicode and the way it can be used in Python. (c) Copyright 2007 eGenix.com. All Rights Reserved. Although Zope has been around for quite a while, it continues to find new users particularly amongst non-programmers who are looking for a way to work with existing data which is usually in some relational database (PostgreSQL, MySQL, MS SQL, Oracle, DB2, etc.). One of the reasons for this is that Zope provides an extremely powerful, yet secure, through-the-web (TTW) programming environment. The presentation is directed towards new users and provides a brief introduction by example into the Zope way of doing things. At the same time it highlights how working within Zope is automatic training in good programming methodology: data management is delegated to ZSQL methods, PythonScripts act as controllers and Zope Page Templates provide the views. Together they encourage modularity and reusability. The mxODBC Zope Database Adapter demonstrated in the talk is an eGenix Zope product. The talk was given at EuroPython 2007 in Vilnius, Lithuania, by Charlie Clark. mxTextTools comes with a high performance Tagging Engine for text and Unicode data which can be used to tokenize and parse (little) languages. The resulting abstract syntax tree can then be hooked up to a generator to build a complete and fast compiler in pure Python. The talk gives a short introduction to the way the mxTextTools Tagging Engine works and how it can be used to build compilers. 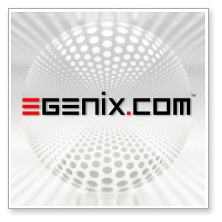 mxTextTools is an eGenix Open Source product available as part of the eGenix mx Base Distribution. The talk was given at PyCon UK 2007 in Birmingham, UK, and EuroPython 2007 in Vilnius, Lithuania, by Marc-André Lemburg - the author of mxTextTools. The talk gives a short introduction to Unicode in general, the issues involved and how Python made its way into the world of scripts. It then focusses on how to use Unicode in Python and gives a perspective of where Python's Unicode support will move in the future. This talk was given at EuroPython 2002. Most of it still applies today, but obviously there are new developments in both Unicode and Python which are not captured by this talk. The speaker, Marc-André Lemburg, was the lead architect of the Python Unicode integration that resulted in the Unicode support included in Python 2.0 and later. (c) Copyright 2002 eGenix.com. All Rights Reserved.